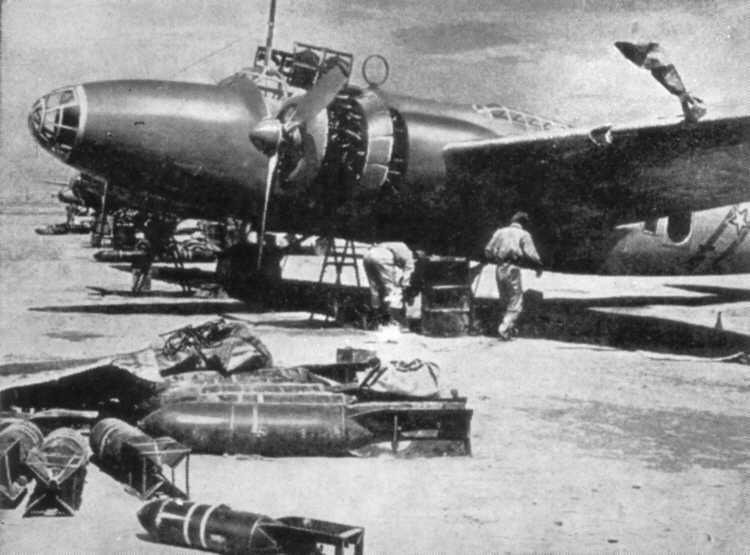 A view of a Mitsubishi Ki-21 Army Type 97 Heavy Bomber, Allied code name "Sally". This is one of the earlier versions with the dorsal greenhouse. The aircraft is being bombed up somewhere in northern China.